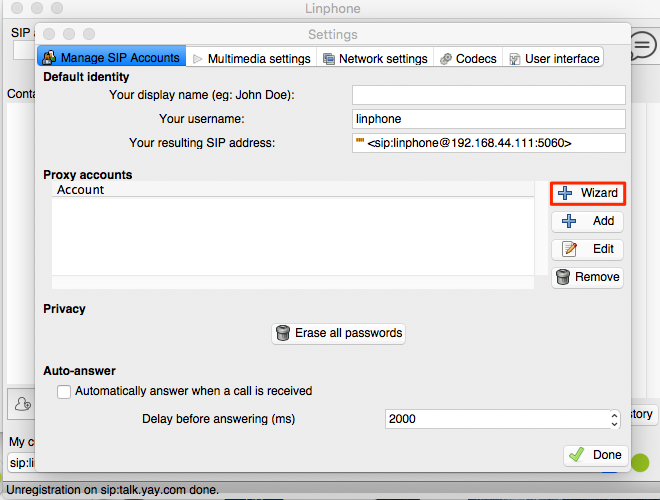 Home > VoIP Support FAQ > Softphones > How do I set up Linphone on Mac? 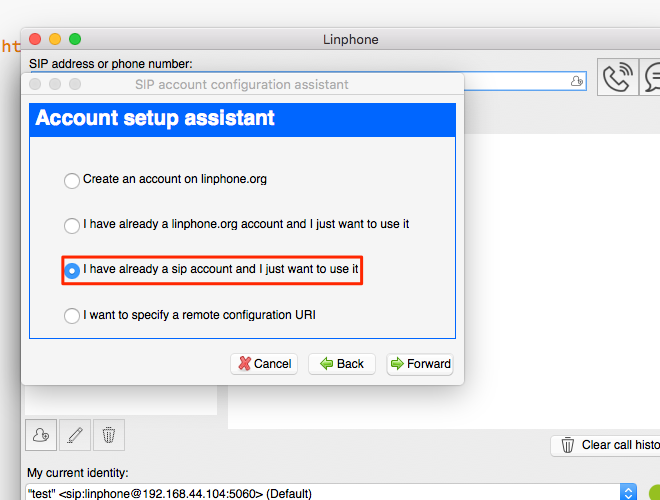 How do I set up Linphone on Mac? 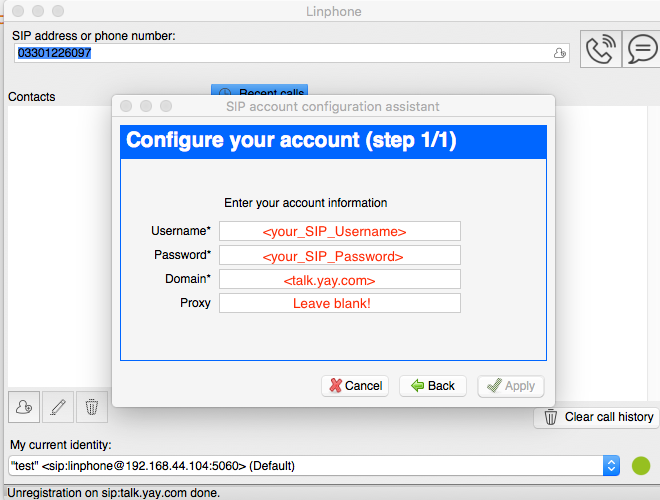 To setup your VoIP account on Linphone you will need your SIP User <your_SIP_username>, <your_password> and host talk.yay.com. If the light next to the name of the account is green then congratulations! You are now registered with Yay.com and are ready to make and receive calls! 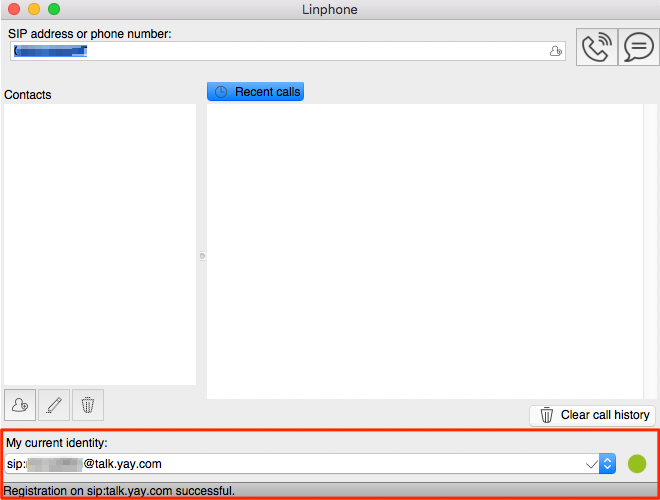 If it is red, then please check your SIP User details and try again.